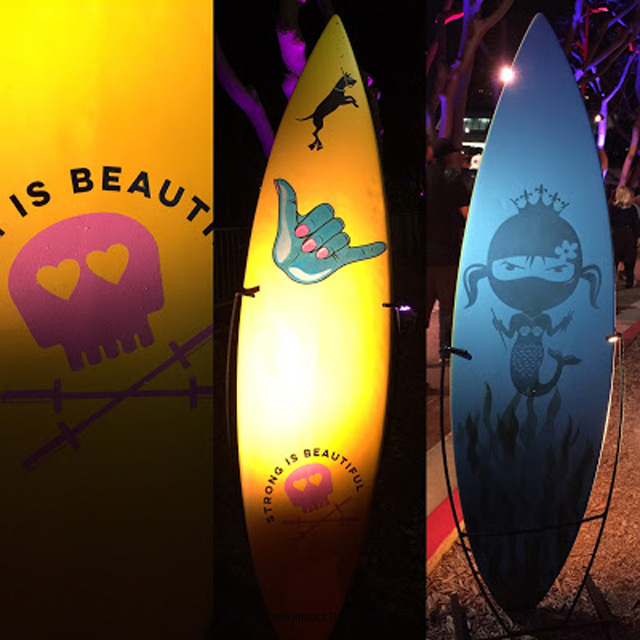 I painted a surfboard to be displayed at the Adobe Bash 2016 in San Diego and in the Skateboard Build room. 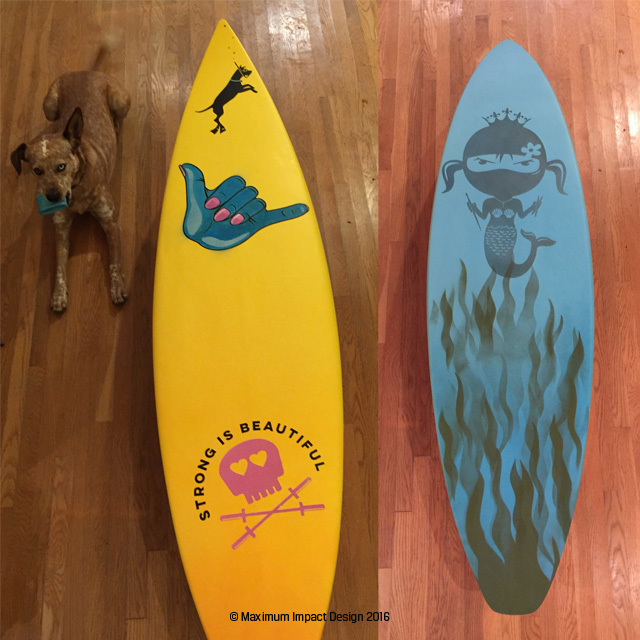 I got the board on Thursday and had to have it done and delivered to Adobe HQ by Monday morning. The weather wasn’t so good on Sunday and so I had to use my blow drier between coats and had a few issues with the dry time but I had to power on and get it done. Thank you Jennifer Wills and Monika Wolff at W plus W for having me work on the board for Russell Brown.